I am a 37 years old Bahraini citizen specialized in the field of diagnostic radiography. The Academic qualifications are supported with field experience that extends over15 years in the field of diagnostic radiography (clinical based experience) in Salmaniya Medical Complex - Bahrain; which started on 1992 until the end of 2006 after which I have joined the College of Health Sciences - Bahrain; as a head for the Diagnostic Radiography Program and a senior lecturer at the same time and until now. I was member of the founding committee for the Bahrain Society for Technologists and Radiographers (BSTR) which has been established on 2002. Since then, I am an active member and hold several positions in the BSTR such as the secretary for the board of directors. 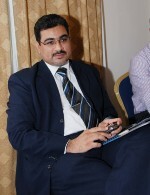 also participated in almost all the workshops organized by the society and was responsible for organizing some of them. Join Today to follow and contact ADEL AL-MALLAH.